Value priced and loaded with Features: Adds up to 61 hp and 112 lb-ft, 6 power levels, works while in cruise-control, Data-Log up 100 parameters at a time (includes micro-SD) plus log up to 20 min/max values. Interfaces with OBDII Port (On-Board Diagnostics/Information) to communicate directly with the vehicle ECU. ActiveSafety protects engine/powertrain. Destroys the competition, not your vehicle! Stops the competition dead in their tracks. 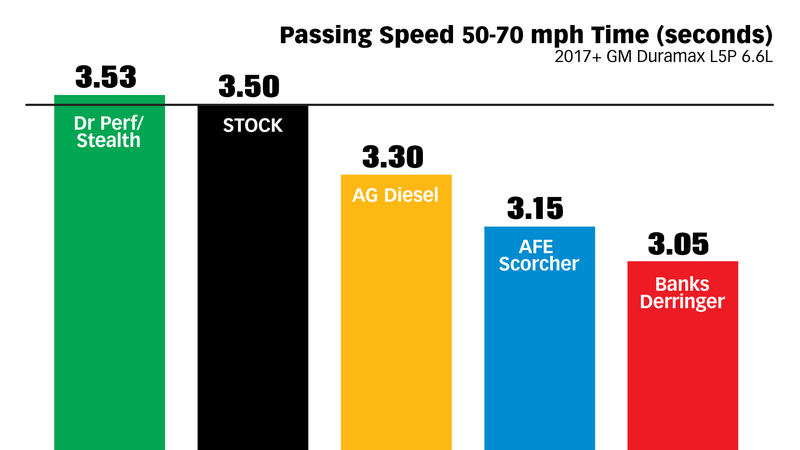 Results in torque and power gains across the full operating rpm range, starting right off idle and marching to the shift point in each gear. 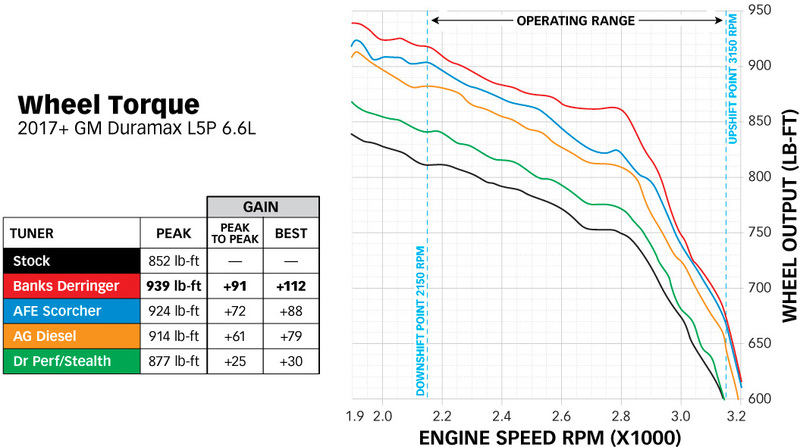 Derringer is dyno calibrated to use multiple data inputs such as throttle position, rpm, vehicle speed, AFR, Knock and coolant temperature, just like your engine's ECU. Its microprocessor-based electronics are able to actively and safely optimize calibrations in real time. No competitive product does that. Derringer has six switched settings. Level 6 produces Best in Class performance and knocks you back in your seat. The Level 3 setting is for work use and has a great mid-range feel. When running Level 3 with a loaded work truck and/or pulling a trailer, your on-ramp merging speeds and passing times are greatly improved. The electronics are enclosed in a compact housing which is easily concealed and communicates using B-Bus (Banks Bus) with other devices such as our iDash 1.8 DataMonster or iDash 1.8 SuperGauge. The Derringer connects in line with your truck's engine sensors. But, unlike others, it also connects to the vehicle's OBDII diagnostic bus connector. A CAN (Controller Area Network) transceiver chip communicates with OBDII or B-Bus allowing our microprocessor to talk with the vehicle. And, Derringer's special coolant temp watchdog prevents power addition when the engine is too cold or overheated. The Derringer also auto-adjusts power if knock occurs due to bad fuel. Maximum safe power is all automatic with a Derringer - you just choose your setting. Destroys the competition, not your vehicle! The Banks difference when it comes to L5P POWER! The Derringer tuner — When it comes down to it, you want a real L5P tuner. You want something that makes big power and doesn’t kill your truck. After all, you just spent a lot of money on that beast. The Banks Derringer L5P tuner is the only option you should be plugging into your truck. Look, the other guys claim big numbers and we call bulls—t! We tested every other tuner on the same dyno, same day, same weather conditions, with the same technician… Same damn test, period! 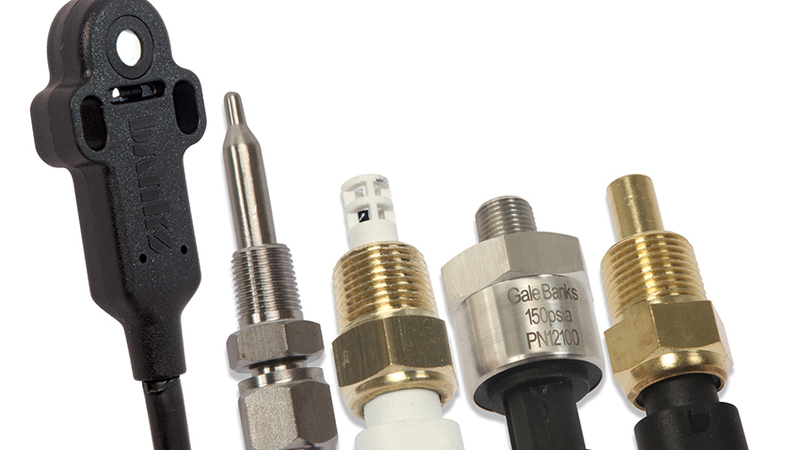 There’s only so much you can do by just intercepting the fuel rail pressure sensor. That’s where all the others fall short. 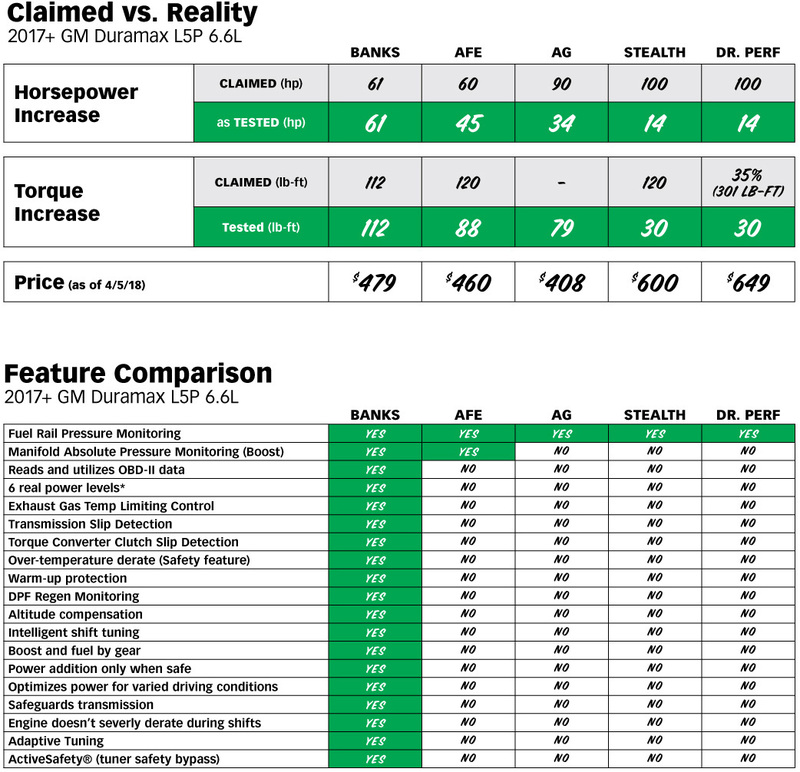 The Derringer is the only tuner that actually utilizes your truck’s ECU to make intelligent calculations! After months of testing, the results are in and we can’t wait to share them. Check out the data below followed by the jaw-dropping list of features. NOTE: Dr. Performance and Stealth both use the same box. Test Vehicle: 2017 Chevrolet Silverado 3500 Dually 6.6L Duramax L5P. Factory intake and exhaust. All tests run on same truck, same day, same conditions. Tested on Mustang DYNO, 10-second sweep. How the Derringer does what it does, and why. There’s no easy way to make more power your daily driven L5P with GM’s ECU and factory turbo, no magic flash or special “chip” available. We had to go the tuner route, and making an inline tuner for your truck was no easy task. We have almost a thousand man-hours into Derringer development. Fortunately, we’ve been making tuners for 20 years, so we know what we’re doing. The Derringer is a plug-and-play microcomputer designed for easy installation, it’s enclosed in a compact housing which is easily concealed, and connects to the iDash 1.8 Super Gauge for the ultimate in information and power selection, unlocking three additional power levels. Unlike the fixed tuning used by others, the Derringer calibration is continuously adjusting to provide you the peak possible performance under every driving condition. By utilizing the power of the OBD-II data, the tuner intelligently fine-tunes its calibration on the fly without you having to change its power level. Exhaust Gas Temperature (EGT) – The Derringer senses your engine’s EGT and intelligently modulates fueling to maintain a safe maximum EGT, protecting your turbo and engine. Altitude compensation – The Derringer senses ambient air pressure, controlling the turbocharger to maintain added boost and power as altitude increases. Diesel Particulate Filter (DPF) Regen – The Derringer tuner constantly monitors your DPF regen status and will optimize its calibration to ensure the DPF regen process completes successfully. Accelerator Pedal Monitoring – The Derringer senses accelerator pedal position to roll in additional power progressively, optimizing part-throttle fuel economy and giving max power when you ask for it. Coolant Temperature Monitoring – The Derringer senses coolant temp to control added power. During warmup, no power is added below 120° F, then power is ramped in and fully available above 150° If the coolant overheats for any reason, the Derringer starts removing its power at 230° F and additional power is totally removed if you exceed 240° F.
In addition to AutoRate Adaptive Tuning, the Derringer utilizes key engine and transmission parameters to enhance shift performance and improve the longevity of your transmission. 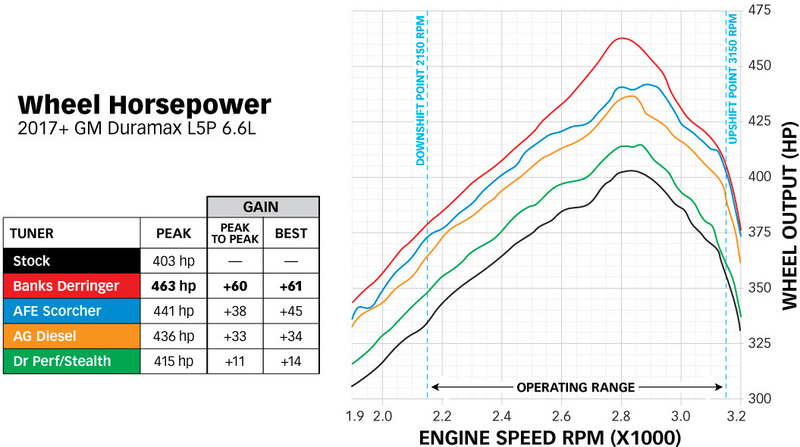 Because the competitors lack the essential OBD-II data, they always add power at wide open throttle—no matter what! This can cause excessive transmission slip, torque converter clutch slip and even 170 HP engine derates in order for the transmission to complete the shift. This harms the overall performance and degrades your transmission. The Derringer is meticulously calibrated and extensively tested to properly modulate power during shifting, optimizing performance and safety. Intelligent Shift Tuning – The transmission shift request signal is monitored to optimize the power level prior to the shift protecting the transmission, increasing shift speed and avoiding ECU power derates. Torque Converter Clutch Slip Monitoring – The Derringer adjusts to modulate TCC slip to safe levels. The Derringer is the only tuner on the market to include ‘Active Safety’, an active failsafe system that utilizes bypass relays to smoothly transition your vehicle to stock power levels in the event of any trouble signs in the Derringer. The system constantly monitors various parameters at over 50 times a second to ensure that everything is operating as it should. If any competitive tuners lose power or fail in any way, they will instantly trigger a “limp home” mode where all power is lost and the vehicle dangerously slows to a crawl. If the same fault condition occurs to the Derringer it will gracefully remove its additional power and return to stock power levels without a hitch. The factory turbo is done at 505 flywheel hp, that’s a gain of 60 horsepower. Above that point, the turbine drive pressure increases dramatically as does EGT and no more boost is available to safely add horsepower. Anyone who claims to deliver more doesn’t understand this engine. Derringer connects to your OBD-II port. It sees the whole picture. After thousands of man-hours on the dyno and crunching data in the engineering office, we had the best gains – 61 hp and 112 lb-ft of torque. Derringer delivers 505 hp and 1001 ft-lb of torque! 60 hp and 91 ft-lb of torque at the flywheel over stock! The Derringer L5P is the most sophisticated inline tuner available. We hope you have as much fun driving with it as we did making it.